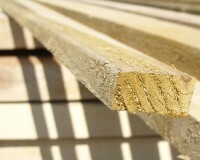 Battens have a specific standard and quality requirement and this is explained in BS 5534. They are a structural element of the roof and give rigidity to the structure, particularly when modern trussed rafters are used. They are primarily used not only to locate the roof covering in straight, consistent rows but critically, to provide a strong anchor for the nails and clips used to secure the tiles or slates. A sub-standard timber batten may not provide sufficient pull-out resistance for the fixing nails, leading to subsequent failure of the roof. They are load bearing and must be strong enough to carry the “dead loads” (weight of the roof covering and possible standing snow) and “imposed loads” (wind) of the roof. Did you realise that an average house roof covered in concrete interlocking roof tiles carries approximately 5 tonnes of concrete on it? The HSE Guidance Note, HSG 33, states that the only safe method of working on a roof with rafters set at 600mm centres (typical for new build) is by using graded battens to BS 5534. Face knots and side knots. The name or identity of the supplier. 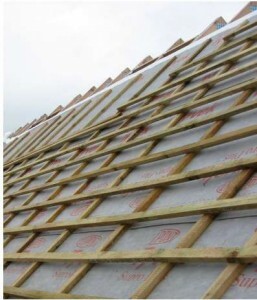 LBS battens meet the BSI 2003 Code of Practice for slating and tiling as recommended by the NHBC. 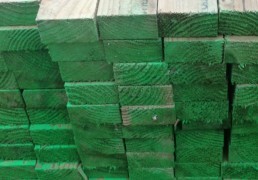 Sawn pressure treated roofing batten is supplied for sorting on site before installation. BS5534 batten has been machine graded to ensure it meets required standard for quicker installation.